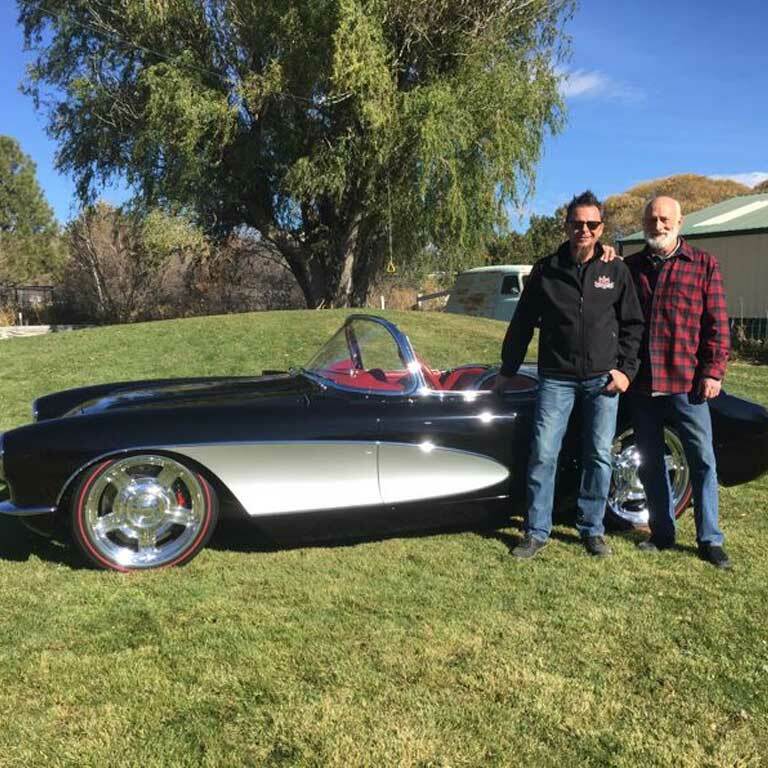 The 1957 Chevrolet Corvette “Family Affair” is a stunning restomod by Kindig-It Designs and Dave Kindig. 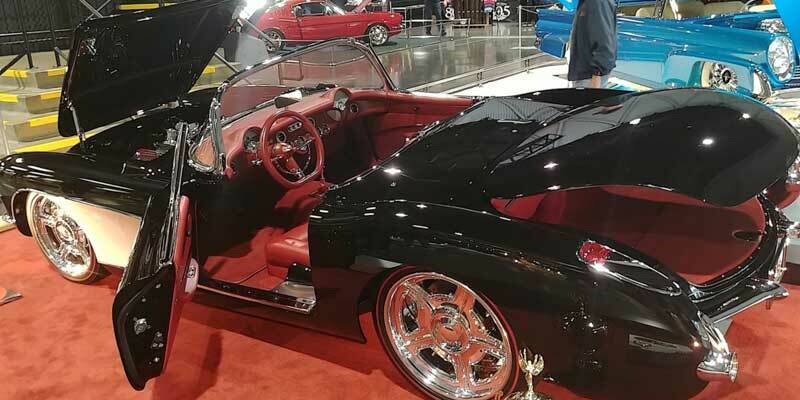 Customizing a 50’s Corvette is seen as a bold move by some enthusiasts, but Kindig pulled off a gorgeous build that is sweeping through major shows with stellar results. This particular model had been in Kindig’s family for years, undergoing a full restoration in ’82 under his father’s watch. 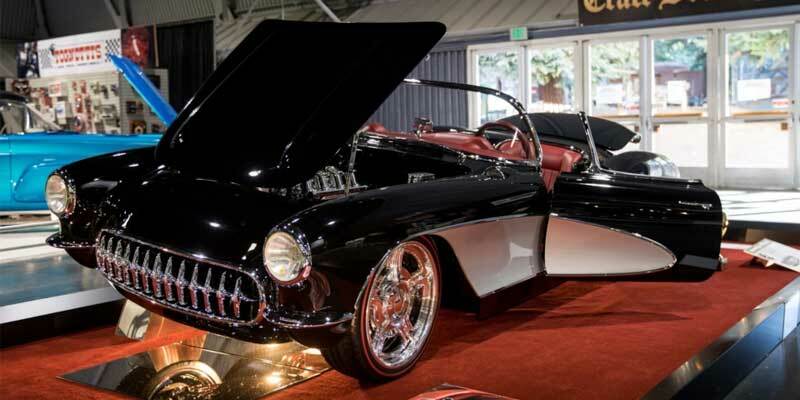 When it came time for this custom build, Kindig used Corvette Image for a new fiberglass body. A new front clip, passengers rear quarter, and lower valance were grafted on, followed by tucked-in bumpers. Kindig’s signature door handles complete the flawless, custom look of the final bodywork. 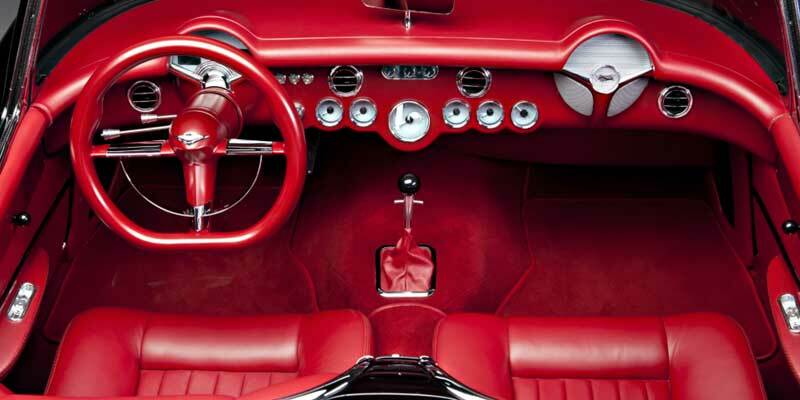 Underneath the beautiful bodywork is an Art Morrison chassis that was specifically designed for C1 Corvettes with modern, all-independent suspension. With Wilwood brakes, Borla Exhaust, and a Ron Davis radiator, the Corvette is set for some smooth cruising. 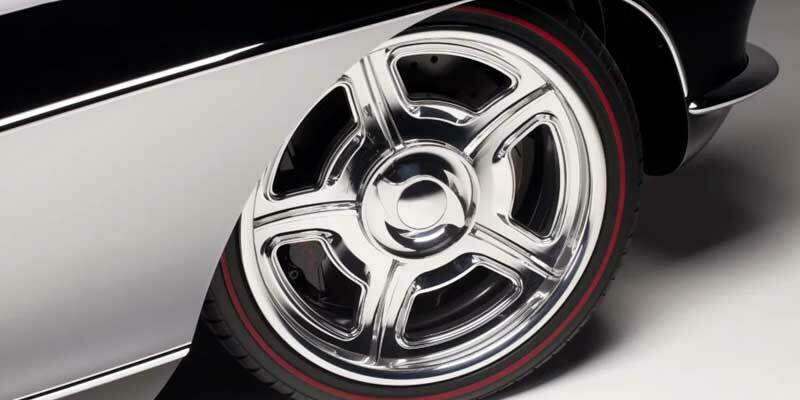 It rides on custom Billet Specialities wheels with two-bar spinners that pay homage to old-school Corvette hubcaps. 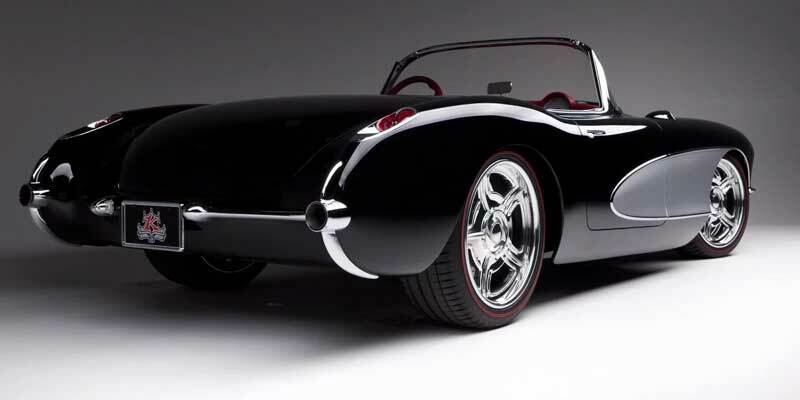 The Michelin Pilot tires feature redline stripes added by Diamond Back Classic tires. 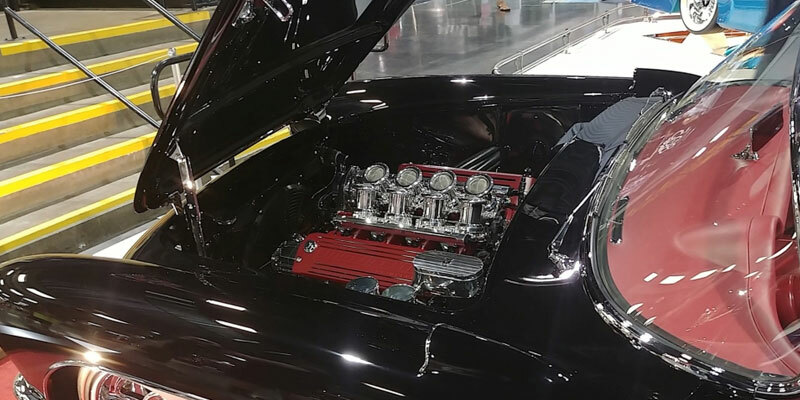 This 1957 Chevrolet Corvette gets its awesome 670 horsepower from a Lingenfelter LS7 with LS3 heads, complete with oxblood Lingenfelter coil covers. 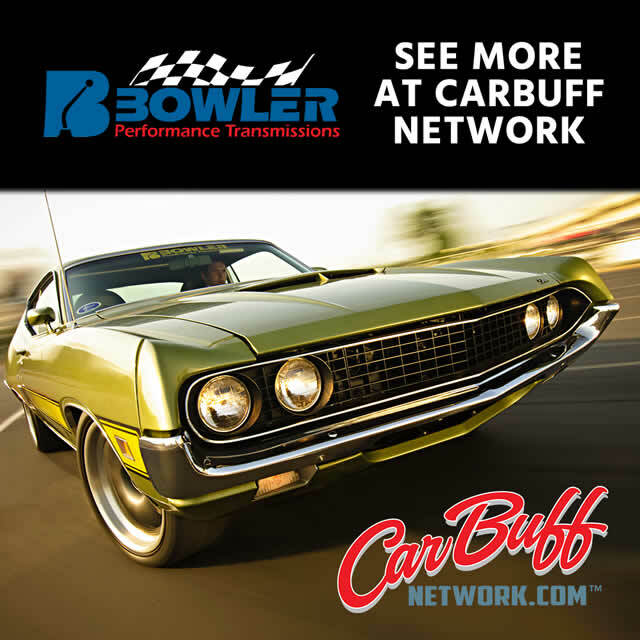 It’s paired with a Bowler 4L80E automatic transmission and completed with a Billet Specialities serpentine drive, American Power electric brakes, and tons of great hardware. The interior gets a marriage of modern style and old-school cool from Kindig’s collaboration with Justin Stephens at JS Custom Interiors, who helped bring the oxblood leather cockpit together.